This listing is for one 1 oz. (by weight) bag of Palo Santo sticks, large abalone shell, and wooden tripod stand. There are 5 to 6 sticks per bag. This is a natural product sold by weight, not size. You will always receive exactly 1 oz. + of Palo Santo wood. An instruction sheet on smudging is included. 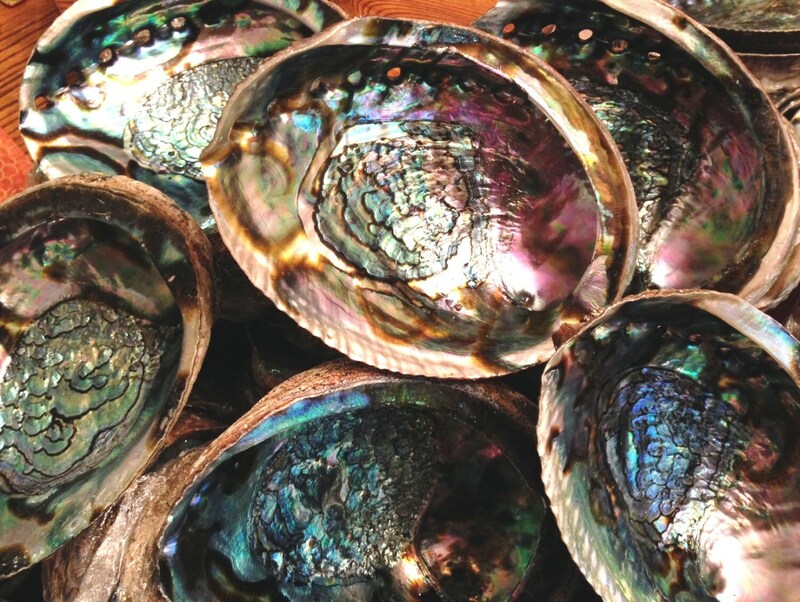 You will receive a shell similar in size and color to the ones pictured, and will be just as beautiful. 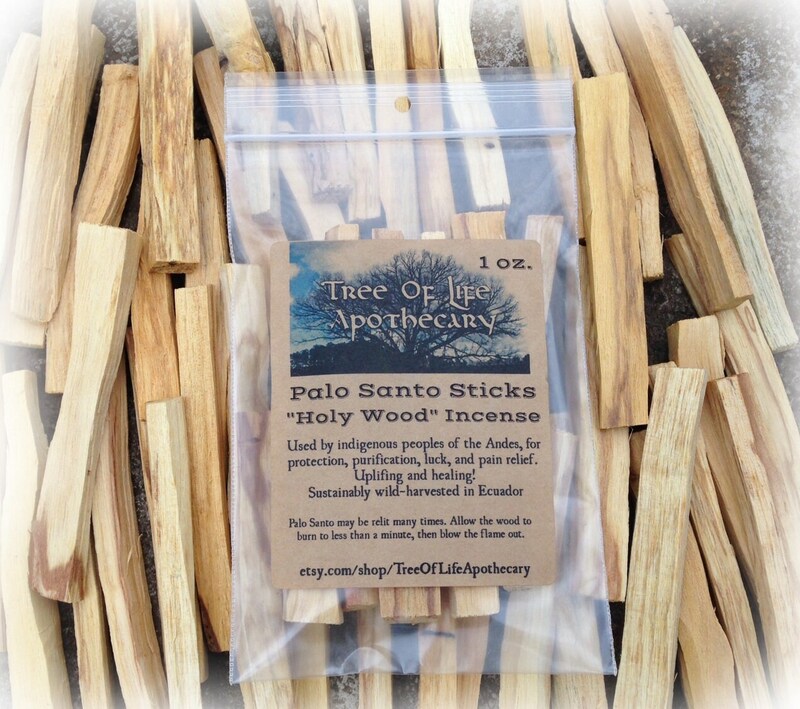 Palo Santo is called "Holy Wood" and used by the indigenous peoples of the Andes for centuries for protection, purification, luck, and pain relief. It's heavenly scent is uplifting and healing. The botanical name for Palo Santo is Burseara graveolens, the frankincense tree is a very close relative. Our source for this product sustainably harvests in Ecuador. 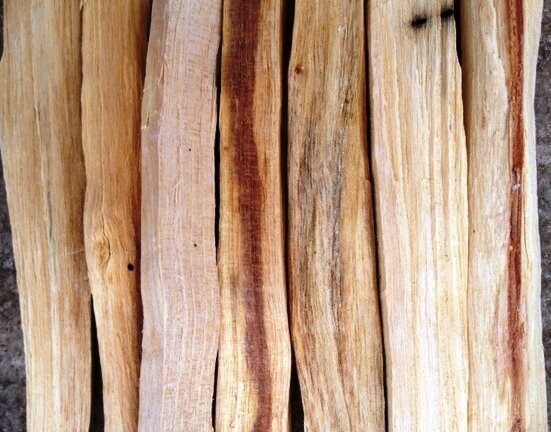 Palo Santo wood is left on the ground to age for 4 to 10 years from naturally fallen branches. This tree is native to the Galapagos Islands and dry South American forests. It is a valuable tree, protected by the government of Ecuador, which has strict requirements for harvesting. Palo Santo may be re-lit many times. Light the end of a stick, allow the wood to burn for less than a minute, then blow the flame out. Pass the smoky stick over your body, objects, or the room you are in for a healing energetic smudging, or simply to enjoy the beautiful fragrance! 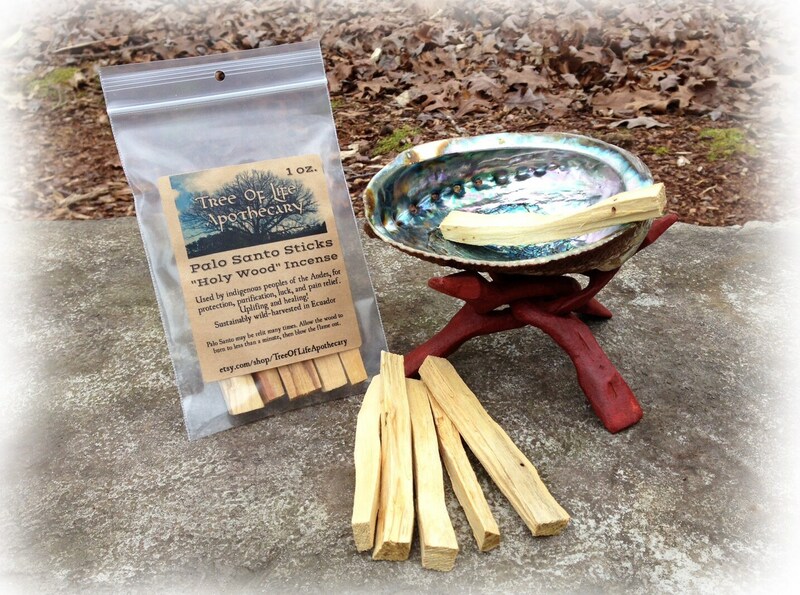 Lovers of herbal smudges and incense will welcome Palo Santo to their rituals and energetic practices. From our home in the rolling hills of North Carolina to yours...happy smudging for your health and well-being. Smudge daily!